MQ-8C Fire Scout completes "slope testing"
POINT MUGU, Calif. â Oct. 23, 2014 âNorthrop Grumman Corporation (NYSE:NOC) successfully completed precision sloped landing tests Aug. 27 with the MQ-8C Fire Scout at Naval Base Ventura County, Point Mugu, in preparation for at-sea testing. 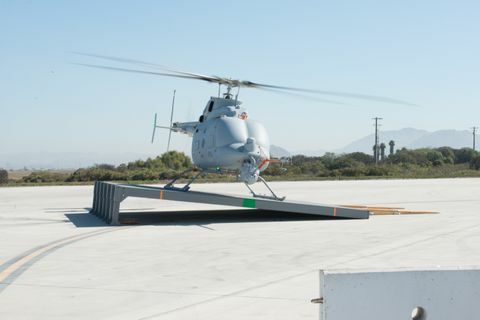 MQ-8C Fire Scout has been undergoing rigorous flight testing and validation, which will culminate in the actual takeoff and landing on the deck of a Navy vessel at-sea. The MQ-8C is the company's latest variant of its successful Fire Scout unmanned aerial system, which performs intelligence, surveillance and reconnaissance missions for the U.S. Navy. "The sloped takeoff and landing tests are designed to be as real as it gets to actually operating on a Navy ship," said Capt. Patrick Smith, Fire Scout program manager at Naval Air Systems Command. "The autonomous MQ-8C Fire Scout system is able to precisely track and understand the roll and pitch of the surface which resembles at-sea conditions." 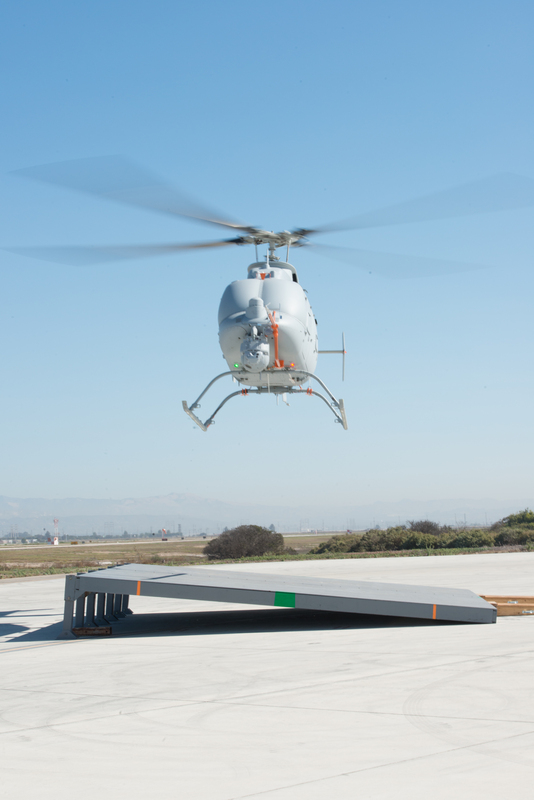 The sloped landing platform was previously used to test and certify the MQ-8B Fire Scout for ship-based operations and is now being used for the more capable MQ-8C. The MQ-8C is utilizing the same proven autonomous system for takeoff and landings as the current MQ-8B model. "The MQ-8C Fire Scout system is performing as predicted and as previously demonstrated during Fire-X testing back in 2011," said George Vardoulakis, vice president for Medium Range Tactical Systems, Northrop Grumman. 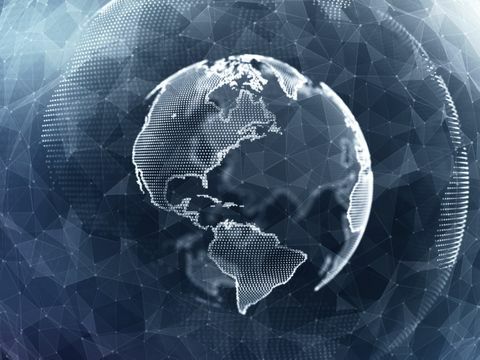 "These tests enable a validation of our autonomous system and clear the way for dynamic interface testing onboard the ship." 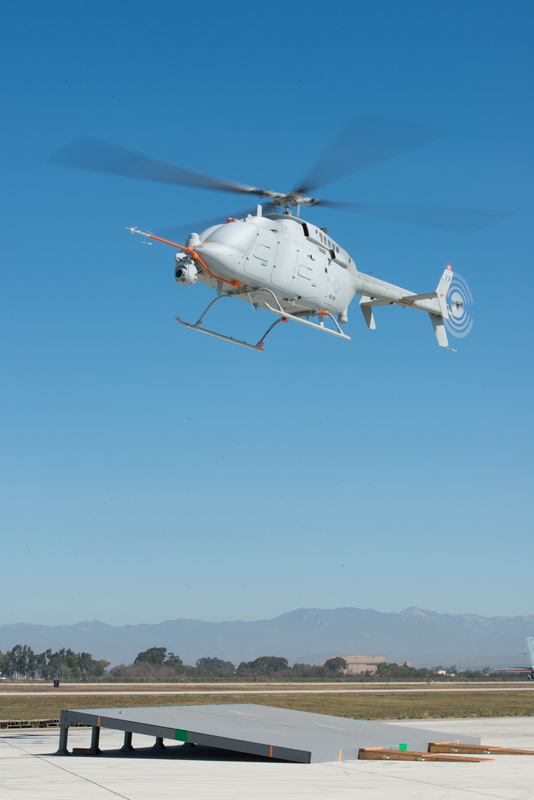 Since its first flight Oct. 31, 2013, the MQ-8C Fire Scout has flown 219 flights and 287 hours. The most recent tests on the MQ-8C have consisted of electromagnetic testing, which assured compatibility with ship-based emitters (like radar) and an initial phase of dynamic interface testing, which looked at deck handling and communications networks. The MQ-8C's first ship-based series of flights are planned for later this year.